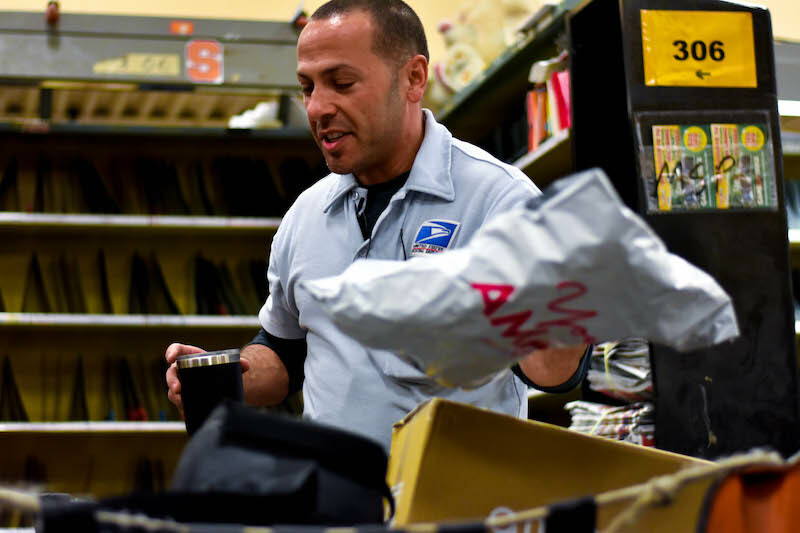 On this episode of Working: Syracuse, we speak to Nick Calabria, a postal worker for the U.S. Postal Service since 2001. Calabria works for an agency that began a year before the Declaration of Independence was signed. Benjamin Franklin served as the first postmaster general in 1775, and mail has been delivered Monday through Saturday since 1863 by postal workers on horses, motorcycles, planes, and auto trucks. There was even a failed attempt at distributing mail via missiles in 1959. 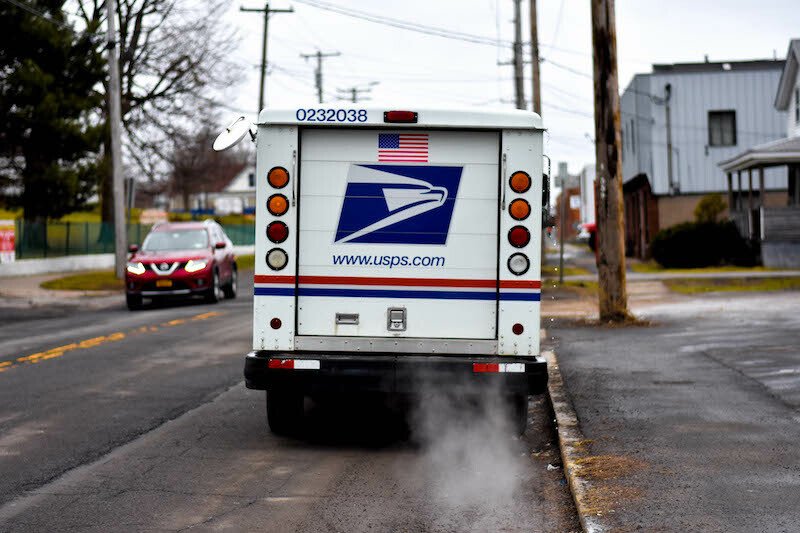 Today, Calabria delivers letters, packages, and parcels across Syracuse in different mail trucks, including the Grumman Long Life vehicle, a specialized and iconic truck developed in the late '80s for this job by a company in Pennsylvania. In the past 10 years, packages have become the bulk of what is delivered by U.S. Postal Service workers. Letter mail has decreased by 20 billion in volume, and packages have increased 2 billion in volume since 2008. The bump in packages from third-party companies such as Amazon helps keep the agency in business, Calabria says. However, the additional weight of boxes and time restrictions such as next-day shipping make for back-straining work. The U.S. 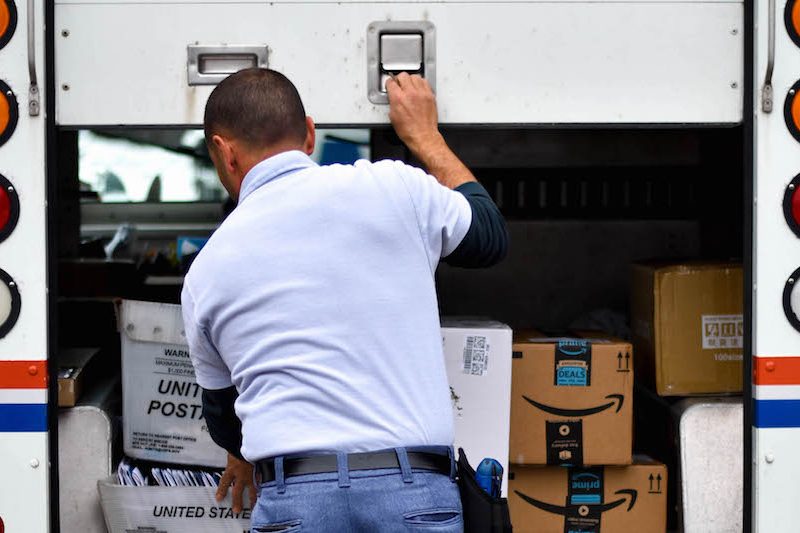 Postal Service continues to face economic challenges and is considering terminating Saturday delivery and closing thousands of postal plants nationwide. But Calabria remains optimistic about the agency's future and says most employees are "lifers" who remain with the U.S. Postal Service until retirement. Nick Calabria organizes letter mail and magazines — referred to as flats — by street and house number for his daily route. Calabria travels several routes through the week delivering to businesses, shops, and residential neighborhoods. 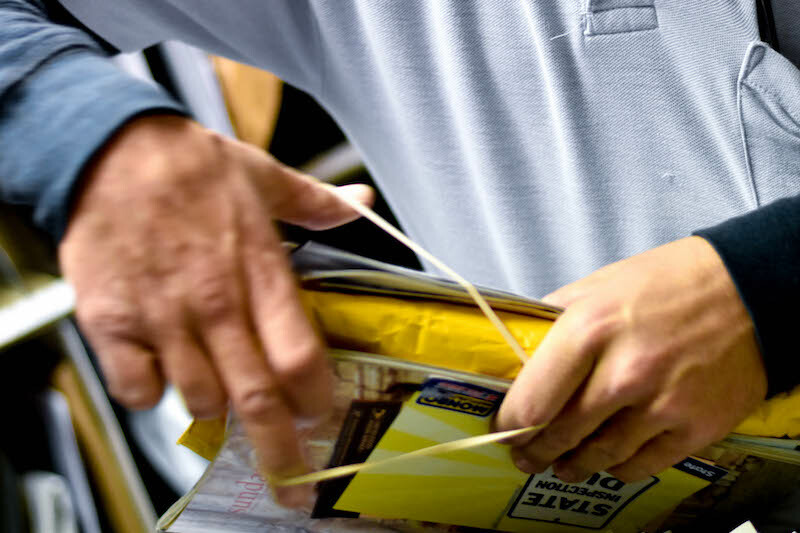 Postal workers use several pounds of rubber bands daily to bound same-place deliverables. Calabria sorts his mailbag by putting the largest items such as flats in the back and smaller pieces such as letters in the front. An increase in packages during the past five years helps keep the postal office in business, Calabria says. At the Teall Avenue postal office, workers divvy up 50 different routes. Inside the Teall Avenue plant, workers sort thousands of letters and packages which are delivered six days out of the week. HOST, BRONTE SCHMIT: Hello and welcome to Working: Syracuse, the podcast inspired by journalist Studs Terkel featuring Salt City residents talking about what they do to earn a paycheck and how they find meaning in those jobs. I'm your host Bronte Schmit. 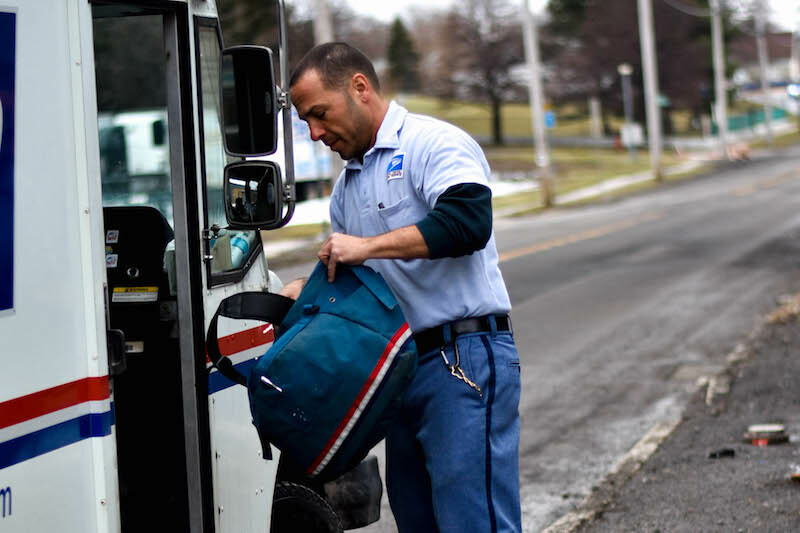 Nick Calabria is a postal worker with the United States Postal Service, responsible for delivering mail to the east and north sides of Syracuse. Our reporter Myelle Lansat followed Calabria along his route to see just how much of an impact he makes on the neighborhood he serves. MYELLE LANSAT: Since Nick joined the United States Postal Service in 2001, the number of postal workers has gone down 35 percent. With the internet making messages sendable in an instant, it's odd to think a person delivers physical mail from a truck to a mailbox for a living. NICK CALABRIA: I'm Nick Calabria. I'm a letter carrier so I deliver mail. I started in January 2001 so a little over 17 years. 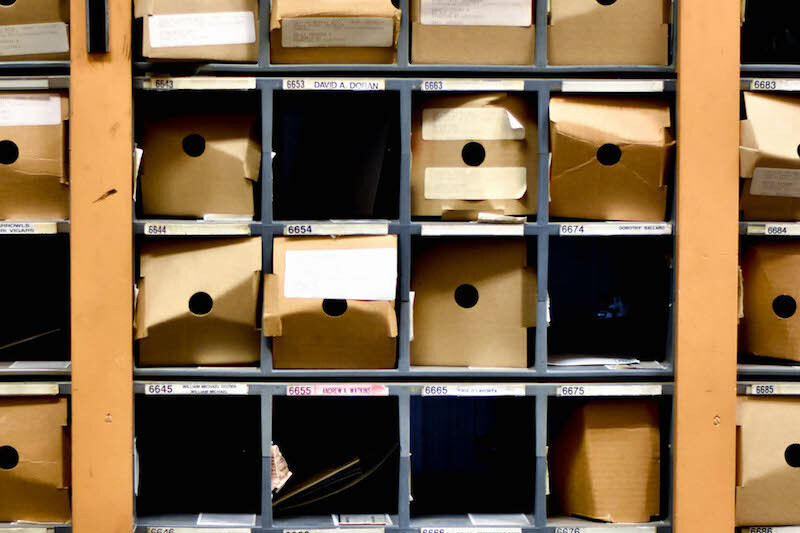 MYELLE LANSAT: From the outside, the brick Teall Avenue postal plant looks dormant, but inside roughly 50 mail carriers sort thousands of letters, magazines — which Nick calls flats — and packages, being mindful of expected delivery dates. 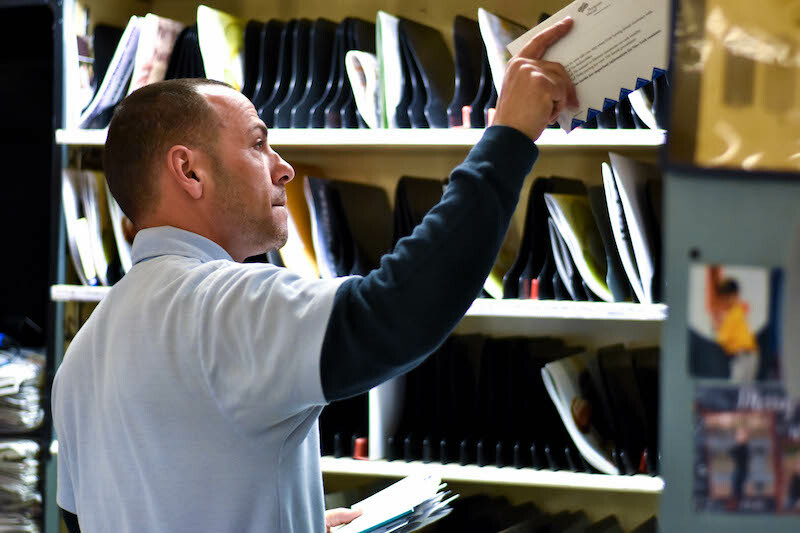 Although Nick's job takes place outside, most of his morning is spent sorting and organizing mail for his daily route. NICK CALABRIA: Alright so right now we're casing flats. These are magazines, this is committed mail. It's not third class or bulk, so this has to go today. This stuff is, you know, we have a couple days to deliver this. MYELLE LANSAT: Nick has seen an increase in boxes over the last four years. His biggest challenge with packages are the time restraints that come with it, like next day shipping. NICK CALABRIA: We have a certain amount of time to do your job, you know, based on the numbers, the boss will be walking around soon, and then tell me how many pieces of letter mail I have and they measure the flats and how many packages you have the come up with a time that its suppose to take you to do that job. You know, your job. MYELLE LANSAT: Despite a shift in what he delivers, Nick feels fairly compensated for his work. NICK CALABRIA: Yeah, so um I start my work day at 7:30, that's when I punch in, so I normally get up early. I get up probably close to 5:30 in the morning. MYELLE LANSAT: For Nick, the best thing about living in Syracuse is experiencing every season, his favorite being summer. But working in a 14 foot by six foot mail truck in 100 degrees with no air conditioning can be rough. NICK CALABRIA: Yeah, for the most part, I mean like you'll check the weather and that depends on if you're going to be happy that day or not too. When it's a great day like spring, summer time, clear day, I love it; absolutely love going to work. But when you wake up and there's 6 inches of snow in your driveway, you know, it's going to be a little tougher and you're not so crazy about going in then but you gotta do it. You live in Syracuse in central New York, that's part of the deal. MYELLE LANSAT: When employees call out sick or go on vacation, it leaves the mail crew down a route, which gets split up among carriers. At the end of the day, the mail still needs to go out. NICK CALABRIA: Like today we have four sick call so we walk in today and the boss is looking around she, it's a she, and who is on over the overtime list and who can she give that time to so, four routes today, 8 hours a route 32 hours that they got to divvy up among people on top of our 8 hour day. MYELLE LANSAT: He regularly picks up extra shifts when one is available. When overtime is assigned, it extends a work day by four hours, ending his day roughly at 8 p.m. But the extra work does not bother him. NICK CALABRIA: It's rewarding to know when you come in the morning and you see all this mail and you're like, 'how is this going to get delivered?' And then at the end of the day it does and you know that kind of makes you proud like, wow, never thought that was going to happen. But you know, we did it. MYELLE LANSAT: Long days mean an extended time with co-workers, some of whom Nick has known for his entire career. NICK CALABRIA: You're here a lot. Most of my 8 hour, 8, 9, 10 hours a day; 5, 6 days a week. So, these are the people that I see pretty much. They become your friends, part of your family. You hang out with them after work so it means a lot. [laughter] This is Lisa. Lisa is one of those people who, who I hang out with once in a while. She's a good egg. MYELLE LANSAT: While he values his relationships with his co-workers, he finds more meaning in his interaction with his customers. Nick covers several routes throughout the week. Some may find that repetitive and dull, but Nick finds meaning in the people he interacts with. His relationships with customers are what makes his job worth it. NICK CALABRIA: I really enjoy you know, talking to the customers, it's pretty valuable, I build relationships with them. MYELLE LANSAT: Nick delivers everything from checks, packages, birthday cards and bills, and his customers' reactions are based on what's delivered. NICK CALABRIA: People don't like receiving bills, they like getting presents or packages and umm it's nice to deliver a birthday present from a grandmother far away and see a kid get excited about that. NICK CALABRIA: ... "Oh no, great, another bill; couldn't you give me a check?" they'll say [laughs]. Or they'll say, you hear a lot of the same things a lot. "Oh I'll take all the checks...no bills today." MYELLE LANSAT: On the other hand, some customers welcome him like family. One customer, Kitty, has known Nick for four years, and gives him cookies every Friday, which she considers a treat for the end of his week. KITTY: It's my fave. Come on in baby. Good thing there's four of these in here. NICK CALABRIA: I don't have to share it with anyone? KITTY: No you don't because you know what hunny there's cookies on the counter. There was anyway. I got your fav. NICK CALABRIA: Aw, you got me something special today. NICK CALABRIA: You're the greatest. NICK CALABRIA: [Laughing] This is great. KITTY: Where's your coat? It's freezing out. NICK CALABRIA: Yeah, I'll put it on at some point. MYELLE LANSAT: When Nick meets a new customer for the first time, he treats them as if they were friends, and respects if they don't want long interactions. When asked if Nick thought his customers would miss him if he was gone, he said that his relationships go beyond the workplace. NICK CALABRIA: I go to them for a lot of things that you know I need done. You know, as a homeowner sometimes you need somebody to plow your driveway in snow or to cut your grass or if you want a new bathroom put in. I recently had a front porch put on my house and I used the guy that I met through work to do it and he did a great job; I was more than happy with it. I know a guy for everything. If you need something done, probably someone on one of my routes that can do that for me. MYELLE LANSAT: Even though mail carriers get two 10-minute breaks and a 30-minute lunch a day, which Nick spends in his postal truck, he cannot picture himself doing anything else. NICK CALABRIA: I knew it's what I was going to do for the rest of my life because I can't see myself working in a cubicle inside all day; I love being outside. Whether it's nice out or not. I just like being out on my own, not having a boss over your shoulder all day. Kind of my own boss when I'm out there. MYELLE LANSAT: The way we receive messages in 2018 is through our phones, something that shook the mail industry. However, the internet has benefited delivery services because packages are being delivered worldwide daily. And Nick believes that his job will be here long after he is gone. NICK CALABRIA: I think I'll retire from this job. I don't think the post office is going anywhere you know, for me I have 15 years to go, you know, I'd love to see it last 100 years longer. The post office was here 100 years ago, I'd like to see it 100 years from now. I wouldn't want to work for anywhere else. HOST, BRONTE SCHMIT: Thank you Myelle, for sharing Calabria's story. Besides delivering pieces of mail every day, Calabria is a huge concert goer. He's been to 15 Pearl Jam concerts and is going to three more this year. Distance doesn't bother him either, as he's going to see Pearl Jam in Amsterdam and Boston. HOST, BRONTE SCHMIT: That's all for this episode of Working: Syracuse. Check out our website www.working syracuse.com for more interviews as well as some extra content on Calabria. Be sure to follow us on Facebook and Twitter @WorkingSyracuse. Thanks again to Myelle for speaking with Calabria. This episode was written by Myelle Lansat and produced by Will Muoio. Extra reporting came from Alex Erdekian, Julianna Whiteway, and Yerin Kim. Our theme music was by Logan Piercey. I've been Bronte Schmit. It's time for us to clock out.